Three template designs are 12x12". Each template comes in both PNG and layered PSD file formats and are ready for you to add your digi products and photos! Recolor elements easily with a hue/saturation adjustment layer. COMMERCIAL LICENSE AVAILABLE! Add elements from these templates to your embellishment and word art clusters for your kits and more! Start your layout or project with a fabulous foundation featuring these word-centric papers! Create unique layouts, cards and printable projects with this pretty Christmas kit featuring the popular chalk look! Create layouts quickly with these templates that will have you telling your stories in no time! Enter the wonderful world of watercolor shabby chic meets modern memory keeping! 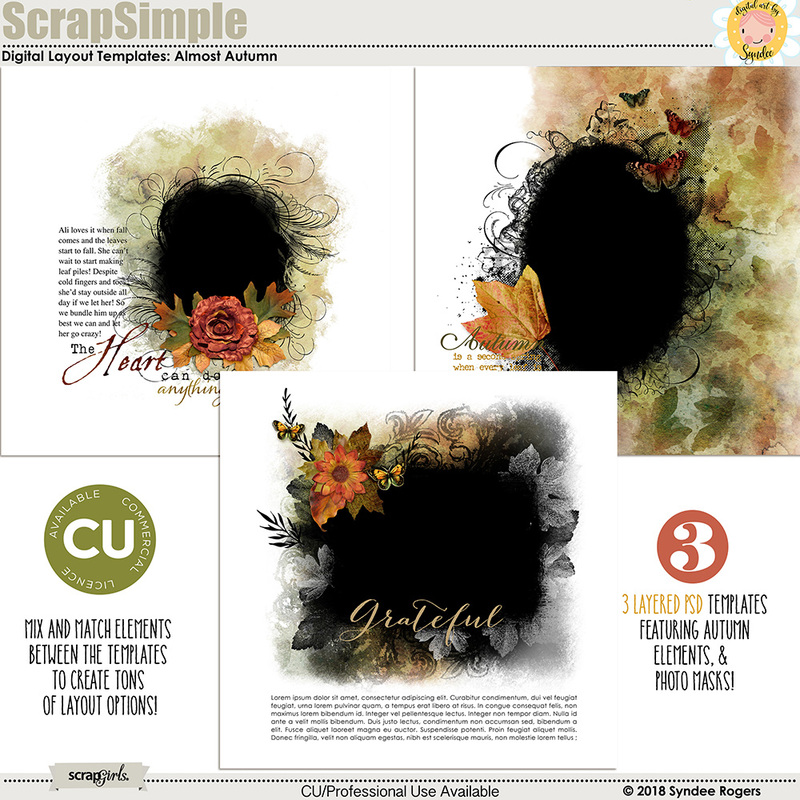 Create blended and torn layouts with these digital layout templates! Become an artist instantly with this set of watercolors on craft papers! Create layouts quickly with these whimsical digital layout templates! Add watercolor textures to alphas, embellishments, and more with the click of a button! This set includes 6 watercolor styles plus a BONUS style! Create layouts quickly with these templates that feature big titles and stitching. Add a altered watercolor look with the click of a button! Kick-start your creativity with these beautifully blended templates! Grab a mug of hot apple cider and get cozy with this fun set of hand-drawn fall graphics and lettering! Light up your layouts, cards and projects with this set of Light dynamic brushes and custom style set! Kick-start your creativity with another set of beautifully blended templates! Create beautiful Christmas layouts and projects with this pretty custom layer styles! DIY planners and calendars with these versatile brushes! PNG and jpg files also included. 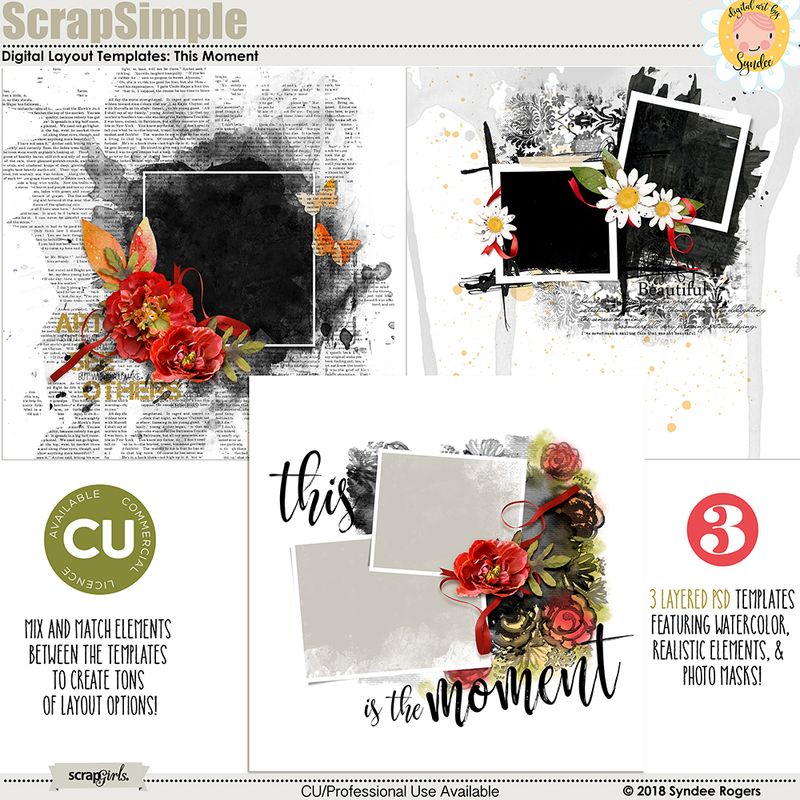 Create your own calendars and planner pages using your digital scrapbooking supplies! These make a great gift idea for the holidays! Clearly Syndee has spent hours in this club, every piece works together wonderfully and just when you think "I wish there was a..." - it's there!! Pages come together quickly and easily, the sign to me of a good collection. 3"every piece just works and works with other pieces. This kit is so easy and versatile and a definitive must have in your collection! It has it all.